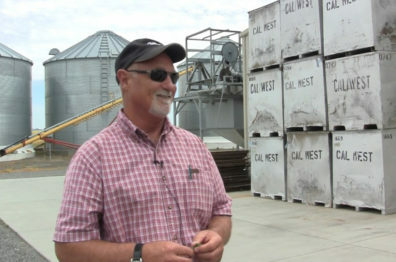 Farmer and long-time CSANR advisory committee member, Dale Gies. Photo: Sylvia Kantor. This entry was posted in Carbon & Soil Organic Matter, Impacts & Adaptation, Sustainable Practices on June 18, 2018 by sonia.hall. This entry was posted in Carbon & Soil Organic Matter, Impacts & Adaptation, Sustainable Practices on June 8, 2018 by sonia.hall. 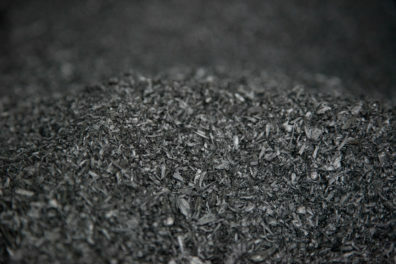 Biochar is being used in a variety of agricultural and home and garden applications. Photo: C. Schnepf. 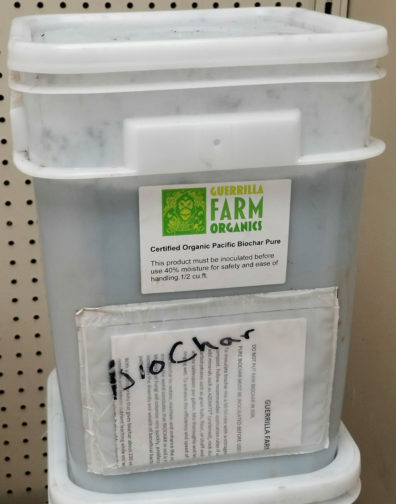 Biochar has many possible agricultural benefits. 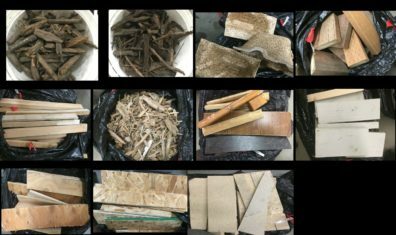 Given the large role that fire plays in western forests, biochar has likely also already played a significant role in Northwest forests, as evidenced by the charcoal commonly found on top of or buried in our forest soils. Biochar shows promise in providing additional benefits in restoring heavily disturbed forest sites, such as forest roads, skid trails, and landings. For more information, see a chapter in a recent biochar book detailing the current state of North American forest biochar research. This entry was posted in Carbon & Soil Organic Matter, Greenhouse Gas Emissions, Sustainable Practices on May 3, 2018 by sonia.hall. 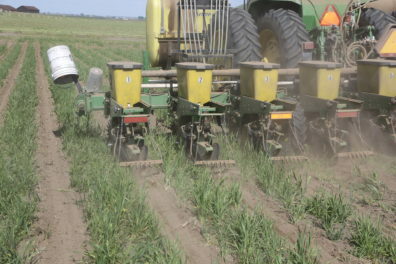 Farmers across the globe are grappling with the challenges of a changing climate. In the Pacific Northwest, loss of snow pack has diminished the availability of water resources, causing increased drought stress (see this article, for example). 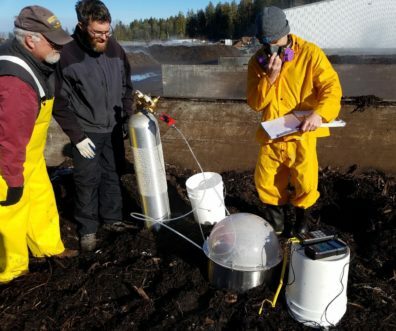 Our program is focused on biochar, a rather non-descript product that can help farmers both sequester carbon and prolong the availability of soil moisture in their agricultural soils to address drought stress. 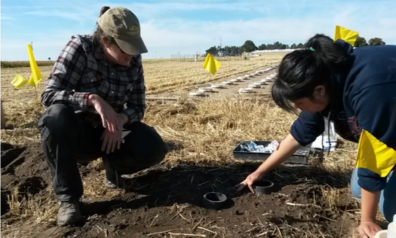 Biological Science Technicians Sarah Light (left) and Stephanie Chiu (right) collect soil cores from soil amended with biochar to determine if biochar can help prevent drought. Photo: Claire Phillips, USDA ARS FSCRU. This entry was posted in Carbon & Soil Organic Matter, Impacts & Adaptation, Sustainable Practices on April 26, 2018 by sonia.hall.